So imagine the scene. You are at a friend’s funeral. The friend is Grahan Chapman and he has worked with Monty python for years. So then John’s Cleese’s gets up to make a eulogy speech. 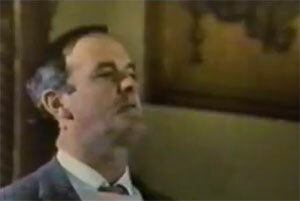 Well this is what you get, this is John’s Cleese’s speech at Grahan Chapman’s funeral. Enjoy in true Monty python style.